Unknown tourist destination for so many people on the Mediterranean is Albania. 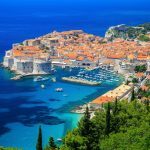 Located on the Adriatic and Ionian sea, Albania offers idyllic beaches, warm weather, rich history, spectacular mountain scenery and all that for bargain prices. 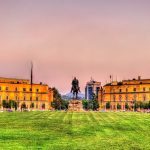 So if you decide to visit Albania you should know where to hit the beach and with this guide we will help you decide your destination. So you are looking for sandy beaches, crystal clear waters, untouched nature and breathtaking scenery then Ksamil beach is for you. Near the beach are also four small islands to which you can swim, take a paddle board or go by boat. 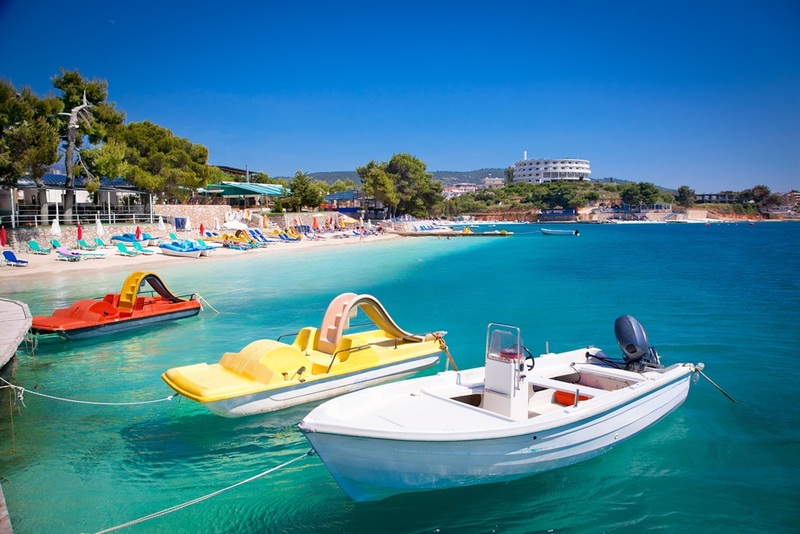 The sea in Ksamil area is full of sea life which makes it excellent for snorkeling. Beach is filled with various water activities, beach bars and restaurants. Getting to Ksamil: Easiest way to reach Ksamil or any part of Albanian coast is by car, but if you decide to use public transport then bus is your option. Bus from Saranda to Ksamil and back goes every hour. One of the most famous Albanian beaches is Dhërmi beach. It is one of the longest and most crowded beaches on the Albanian Riviera. The beach itself is a pebble beach surrounded by coastal pine forests. Since it’s long beach you can choose between if you want to be in main part of beach filled with people and some beach bars or you want to relax in further lengths of beach where it is more pristine and quiet. When the night falls those beach bars become home of vibrant nightlife. 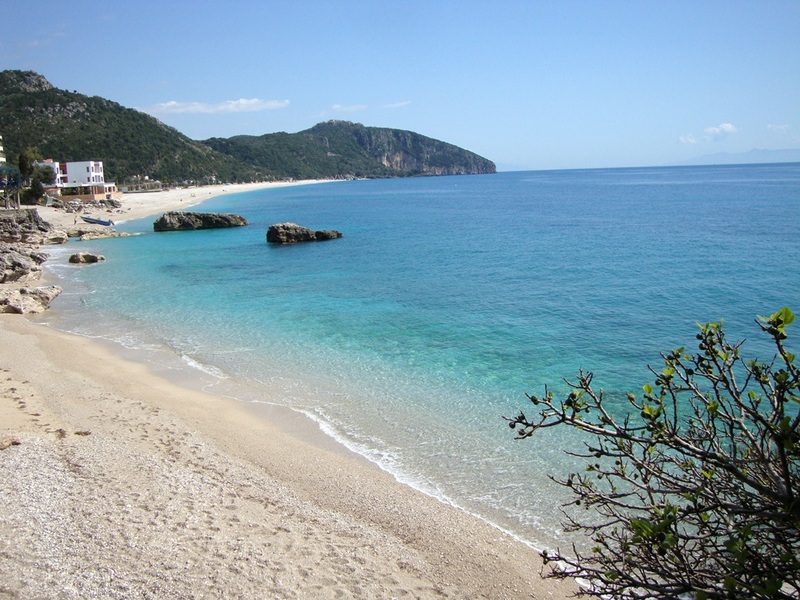 Longest beach on the Albanian Riviera is Borsh. It’s 7 kilometers long beach so it’s perfect for those who like to walk down the beach. 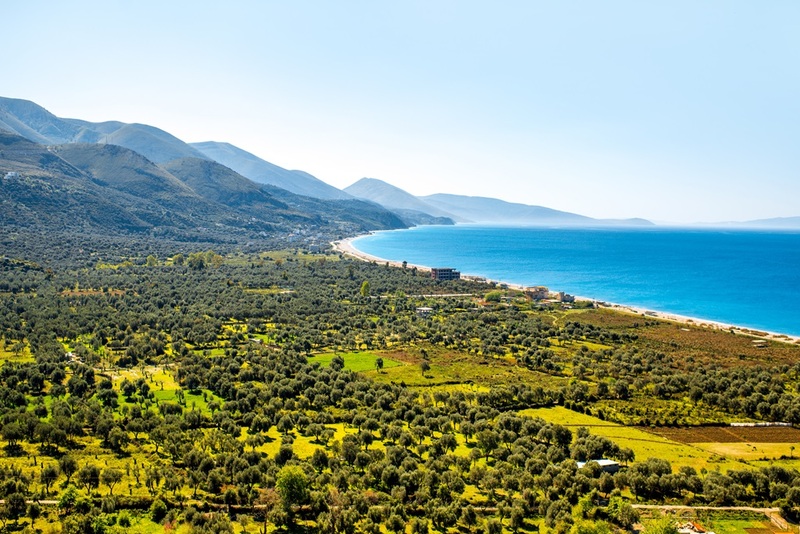 It is surrounded by olive groves and high mountain peaks, and despite its beauty, is one of the least visited beaches in the country. The sea is turquoise blue and clean which is great for swimming. The beach is not very crowded and you have a lot of space for sitting back and relaxing. Getting to Borsh Beach: Since beach is long for 7 kilometers, it’s easy to reach. If you are staying somewhere in Borsh its short walk to the beach. 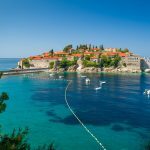 But if you are planning one day trips check timetable of bus that drives up and down through the Albanian Riviere, it has two stops in walking distance from the beach. It’s getting harder and harder to find an untouched beach on Mediterranean and Adriatic sea, but Gjipe is one of those gems. Hidden by the surrounding mountain, the beach itself is accessible only by foot, so you will need to hike a bit but it’s all worth it. It’s perfect for nature lovers and it will offer you one of the best views of the coast. Beach has small pebble stones and crystal clear water, also on the beach you can rent a kayak or even camp! Getting to Gjipe beach: Firstly you will need to reach Ilias village, by car or by bus. Secondly it would be great if you have car, if not then grab a taxi which are very cheap, so you can reach beach parking which is few minutes from the beach itself. But if you decide to go on foot you will need to hike 4 kilometers down the “The Gods of Garden” road. Also known as Shpella Beach and is one of the most famous beaches on the Albanian Riviera. It’s a dazzling strip of white rock, lapped by the deep blue water will make you feel like you’ve found your little piece of a paradise. It’s a very popular beach among locals and tourists so it will be a bit crowded in the summer months. On the beach, you can rent a boat or kayak and there is restaurant in case you get hungry. Getting to Lukova beach: You can reach Lukovë by car or bus that goes through the Albanian Riviera. The beach is right under the village so it will be short walk to the beach. When you pass through Llogara pass first thing that you will see is Palasa beach. On the beach you will find the combination of white sand, rocks and pristine water. Palasa beach is also a great location for families because of sandy parts where kids can play and shallow water where they can have fun too. There are also a few beach bars and restaurants on the beach, including a campsite. 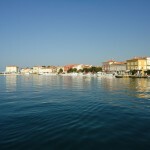 Getting to Palasa beach: You can reach Palasë by car or bus that goes through the Albanian Riviera. Beach is bit further away from Palasë, so you will need to grab a taxi or go by car to the beach.